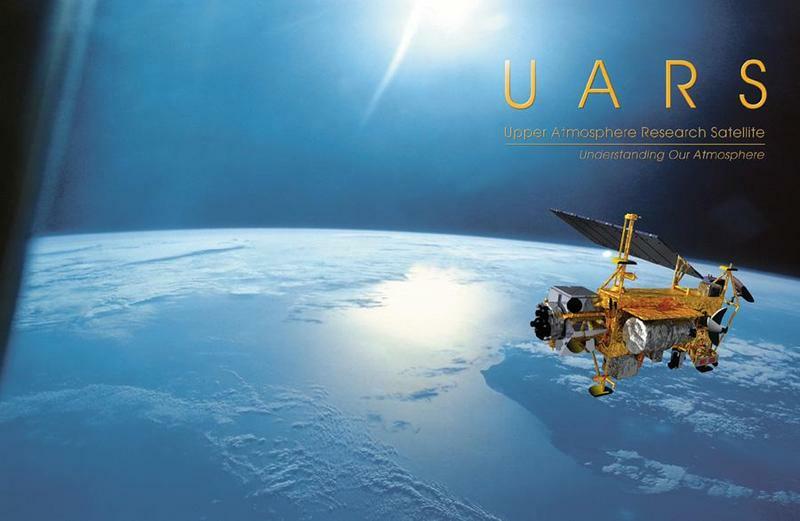 NASA's Upper Atmosphere Research Satellite (UARS), an observatory that was launched in 1991 and decommissioned in 2005, may have collided with another large object in space, according to a report on LiveScience. I don't think anyone will pay attention until someone gets killed. Even then we will here, "Oh it was just a one in a million chance." We will see about that!! If it saves One! Life!, its worth any price! Realistically, we will have to wait for more advanced technology, which might allow an automated device with solar powered ion drive to slowly go around a collect the largest objects. In the meanwhile, we will have to measure the risk/cost-benefit ratio, and accept the occasional impact. The fractional cost of each impact, spread over the cost of all the current space activity, is acceptable. About the lowest cost route would be to add a control system to the Shuttle's external fuel tank and boost it all the way to orbit on launch, then fill it with expanding foam and put it on intersecting orbit with some of the smaller pieces of space junk. The junk would end up trapped in the foam. When 'full' or the fuel is de-orbit and let it burn up. Cons: the tank would need to have its own fuel/control system designed and installed, and determining the proper orbital intersection for a 'catch' would be difficult as the collision energy would probably have to fall into a small range. What we need is a....gigantic space Molly Maid! Now where's Spaceball One when you need it? Seriously, the automated approach isn't just smart, it's pretty much the only way we can go. We don't have a choice, as spending the amount of man-hours it would take to clear the skies is too great, and the chance of something bad happening to any astronauts running around from garbage pile to garbage pile would be too fuel intensive. There's also the fact that so many maneuvers would entail additional dangers that aren't regularly faced on a standard mission. So, who's for investing in the SpaceRoomba? You mean, boost it to greater than maybe 600 km where all the junk we care about is? Sure. Add a sizable RCS to the flimsy shell of the fuel tank on a man-rated mission? No problem. Intersect the junk orbits at just the right speed to absorb the junk without tearing off pieces of the foam and tank and creating more junk while ensuring the deorbit system remains unharmed and propellant bottled up? Piece o' cake. Then, perform controlled reentry with an aerodynamically unstable, humongous dirty space sponge? Oh, yeah, NASA does that every other week. This is just like global warming. Fake! Possibly, if the space junk is made up of metal, the satellite sent to retrieve the junk could have some kind of magnetic attractor, and the pieces could float to, say, its collecting bay. I do not know why anyone would want to deorbit this stuff in the first place; it cost a pretty penny to put it up there. Why not collect all the space junk in a reasonably safe orbit (not at LEO where atmospheric drag still has some effect), all in one location so when we develop space manufacturing techniques, we can smelt down this old junk in a solar powered furnace to acquire some of the raw materials we would need to build the next generation of the ISS. To move this stuff around, we could develop solar-powered ion tugs to move this stuff into a safe orbit. We have had some good successes with ion spacecraft so far. We throw too much away here on Earth. There would be a lot of perfectly good titanium, aluminum and such out there is space, why not reuse it instead of trashing it. It is already there, why not reuse it. Silly me too! Why waste all that xenon for ion power when maybe a perfectly good solar sail would do the trick. Where did I put my giant space net? What we need is a laser platform in the right orbital distance such that it can then shoot the dead space debris, which then forces that debris back down to Earth at a safe crash zone. Meaning the laser platform is not meant to blow up the debris, but just heat up the outer section or so, pushing the debris back to Earth. Maybe have more then one laser platform, like one at 10k km, another at 20k km, and so on. Really, how many space debris are really out there? Surely its over a thousand pieces, and everytime we launch something else, we are adding more dead debris into that equation. Nicely written. Interesting views that i've never read before. Can i find more from you on the internet? Within a planetary system; planets, dwarf planets, asteroids, comets, and space debris orbit the central star in elliptical orbits. A comet in a parabolic or hyperbolic orbit about a central star is not gravitationally bound to the star and therefore is not considered part of the star's planetary system. Accidents on space, this is peak of man's knowledge but not extreme. Waiting for the time when one of my fellow will be on other planet. Today, when it comes to home security systems, there are many, many different features you can get that are sophisticated while being cost-effective.